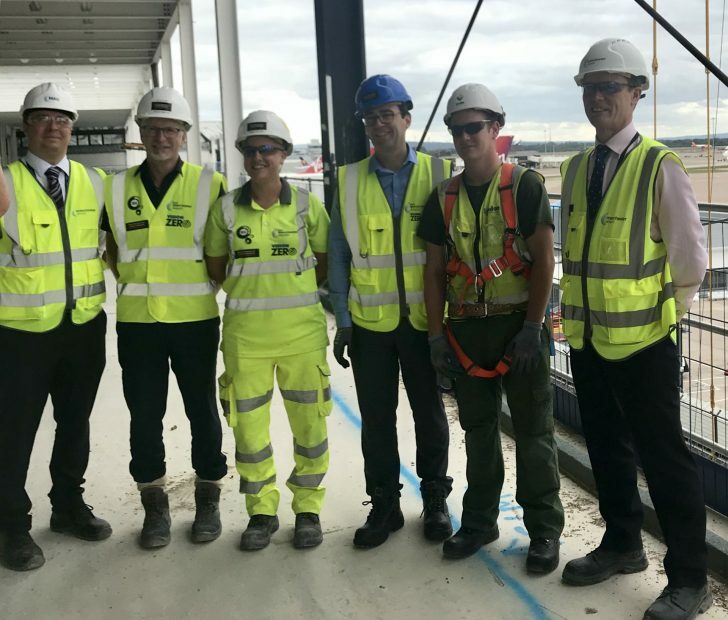 Lyndon Scaffodling apprentice, Keel Parker got to meet the Mayor of Greater Manchester, Andy Burnham at our temporary works at Manchester Airport this month. 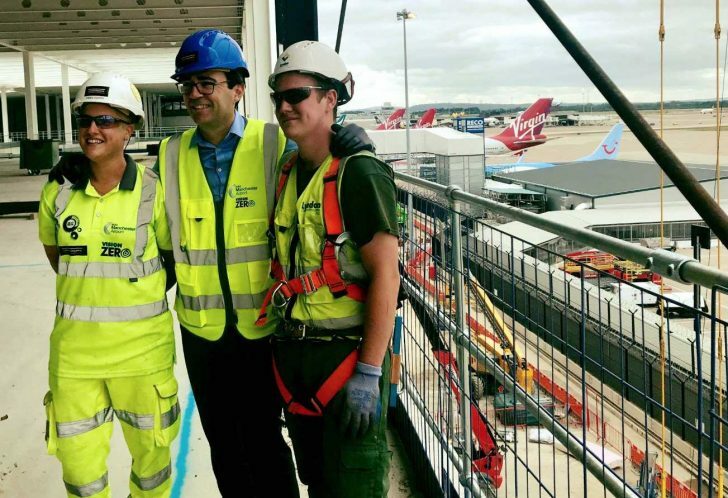 Keel is one of 80+ talented young apprentices on the £1bn transformation programme of the famous air terminal. CEO Rob Lynch said: “Keel is an award-winning apprentice with Lyndon Scaffolding who was selected by clients Laing O’Rourke to meet Andy Burnham, Mayor of Manchester, to highlight the project’s commitment to apprenticeships and to creating a long term legacy flowing from the works at Manchester Airport. 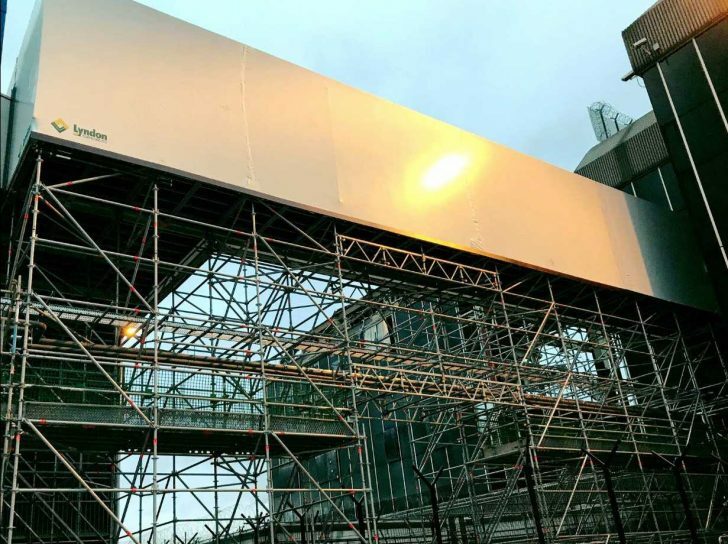 Keen eyes will spot our link access in Layher over their left shoulders (also in separate picture, taken earlier in the year during erection phase).